I picked up this 74 DT 250 yamaha enduro last weekend. Its probably one of the funnest bikes to cruise around on. 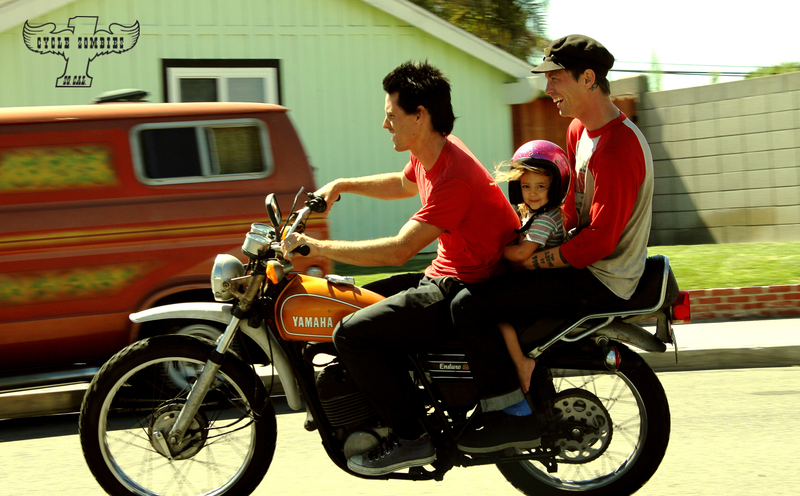 My little sister Jessica snapped this pic of me, Chase and my girl Rosie going for a put.